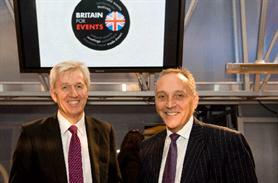 Business Visits & Events Partnership chairman Michael Hirst has welcomed the government's support for the UK events industry. Hirst, who is the campaign co-ordinator for Britain for Events, cited this week's endorsement of the campaign by prime minister David Cameron and culture secretary Jeremy Hunt. Their endorsement follows that of minister of tourism John Penrose and MP Nick de Bois, chairman of the All Party Parliamentary Group for Events. Hirst said: "Event tourism is now firmly on the government agenda. It is fitting that these developments have all taken place in the lead up to, and during one of the UKs seminal tourism events and goes to demonstrate the growing role both business and leisure events play in the UK tourism."